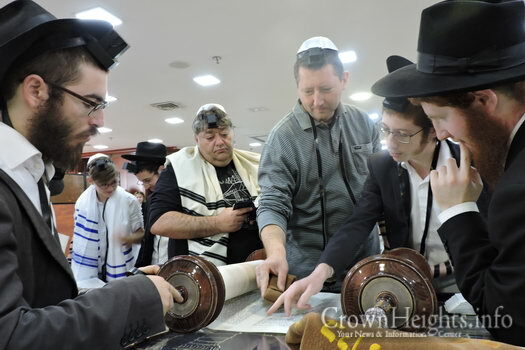 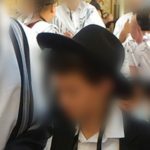 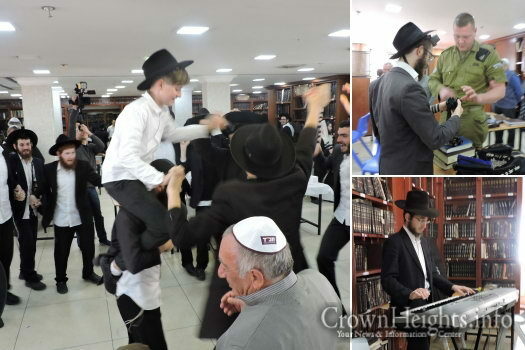 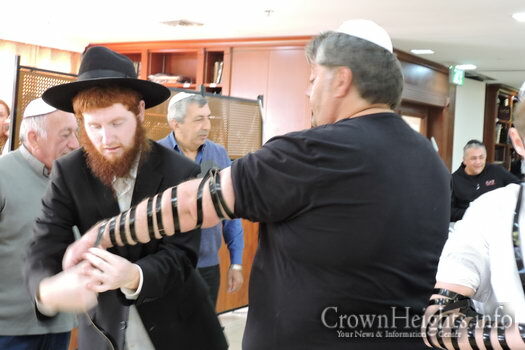 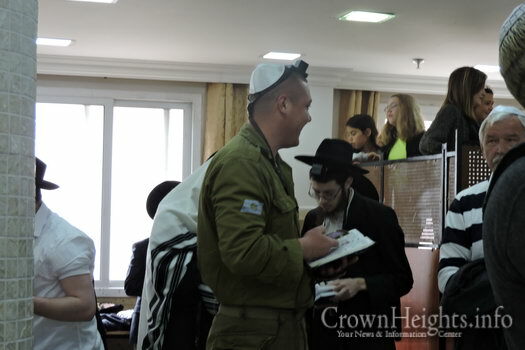 An Israeli boy who was mentored for his Bar Mitzvah by Bochurim of the Chabad Yeshiva in Kiryat Gat, Israel, arrived there this morning with his family to celebrate the joyous occasion with the entire Yeshiva. 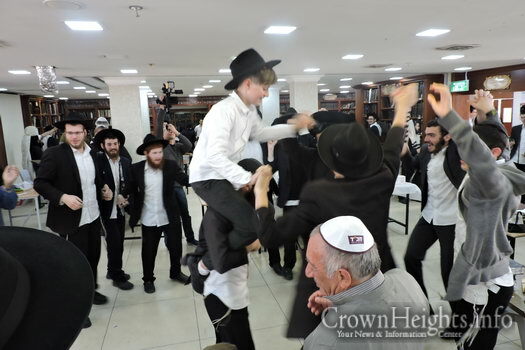 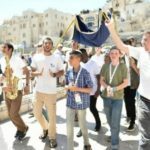 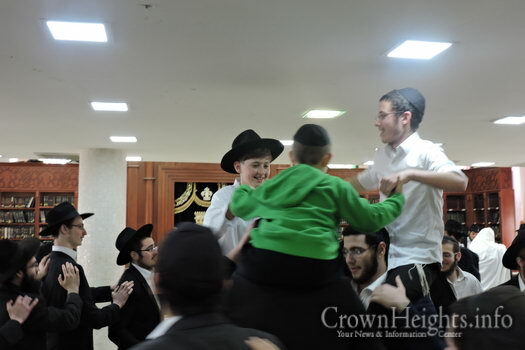 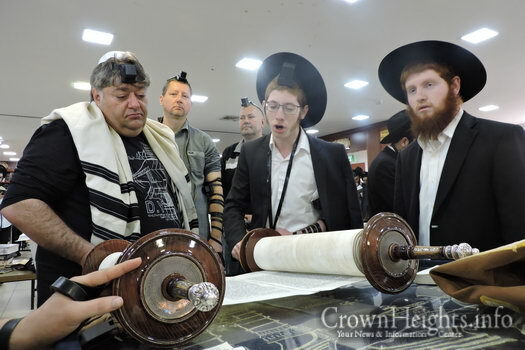 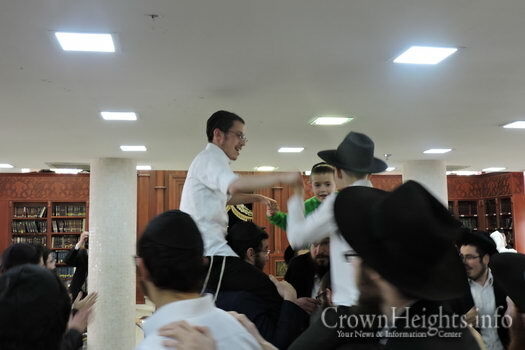 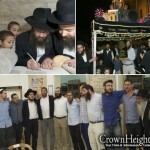 The celebration began with the boy putting on Tefilin – along with all the male members of his family, then during Shachris he received his first Aliyah to the Torah, which was followed by joyous singing, dancing and L’chaim. 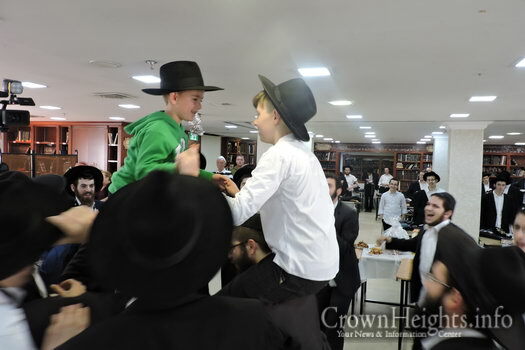 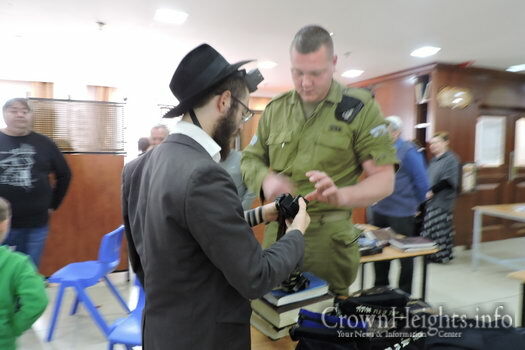 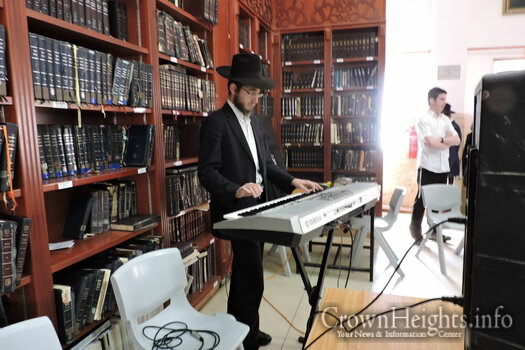 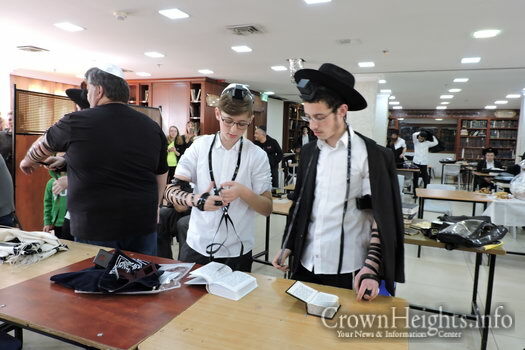 The boy was mentored by the Bochurim free of charge as part of the Yeshiva’s ‘Machon Bar Mitzvah’ program.